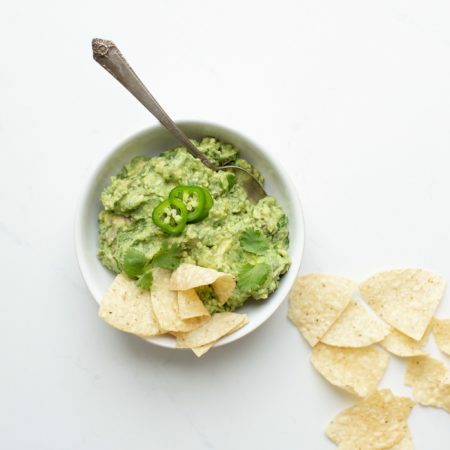 Our go-to summer appetizer is homemade salsa and guacamole. You simply can’t beat the fresh garden flavours. This salsa is best made an hour or two before serving to allow the flavours to come together. Serve with the best tortilla chips you can find. Fresh homemade salsa is whipped up in a matter of minutes and perfect for Mexican night on tacos or a simple appetizer served with tortillas. Mix all of the ingredients together in a bowl and serve with the best tortillas you can find! You can make this a few hours ahead and keep it in the fridge until guests arrive. Store leftover salsa in the fridge in a covered container for up to 3 days. These look so “FRAICHE” & delicious Tori … Can’t wait to try them! Love fresh pico but hate hand chopping everything! Do you have a favorite device that does it?! Hi Laura, I always chop it by hand as otherwise the tomatoes get more pureed!